We’re a growing company with brilliant people at our heart who believe that everyone should receive high quality patient care. Our approach to healthcare is innovative, forward thinking and above all caring. 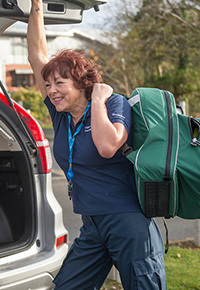 We put patient care at the centre of all we do and are looking for dedicated people who share our values and our passion for delivering quality patient care. Take a look around. See what we can offer you. If you can’t find what you’re looking for don’t hesitate to get in touch with our friendly HR Team. Hollinswood and Priorslee Medical Practice, based in Telford, Shropshire, are looking to recruit a Salaried GP. We are looking to recruit a Field Team Manager at our office in Shrewsbury responsible for operational management of the field team and the delivery of high quality service provision. Part of being happy at Shropdoc is making sure you get great benefits.